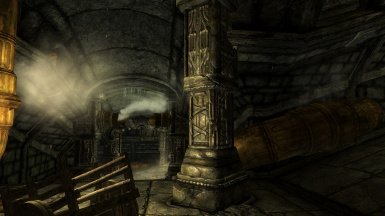 This retextures the steam effects found in the volcanic regions and Dwemer ruins of Skyrim it also now effects the Dwemer robots. Available in x256, x512, x1024 and x2048 sized textures. This retextures the steam effects found in the volcanic regions and Dwemer ruins of Skyrim it also now effects the Dwemer robots.. 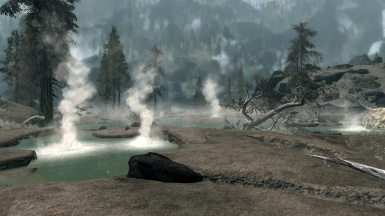 It also retextures the churning water effects which appear beneath the billowing steam in the volcanic regions. 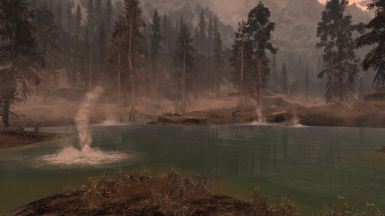 I have redirected the textures in the meshes to use their own textures added by me, to make them compatible with water mods and to not interfere with any other meshes which use the same textures to achieve a different effect, as Bethesda likes to do a lot with the smoke textures. 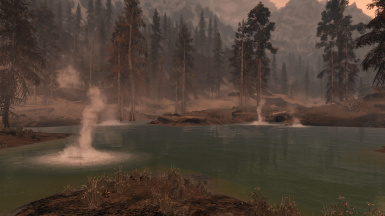 Which means, the new steam and churning water textures will only change these effects and nothing more. This is not compatible with other mods which change these meshes. It is compatible with all water mods, just install after any of those mods if you use them just in case they overwrite the churning water meshes. 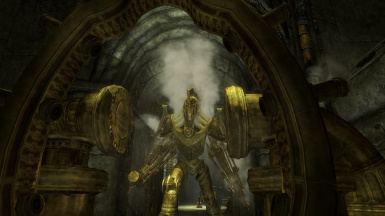 version 2.0: added steam effects to Dwemer robots and the helmet Visage of Mzund as requested by skunky123. This helmet is from the DLC Dragonborn but uses Skyrim assets so Dragonborn is not required to be installed. version 2.1: Added all fixes and made textures not conflict with water mods (credit to raze01 for pointing out conflicts). Completely uninstall previous versions before installing and install after water mods to ensure meshes are not over overwritten.